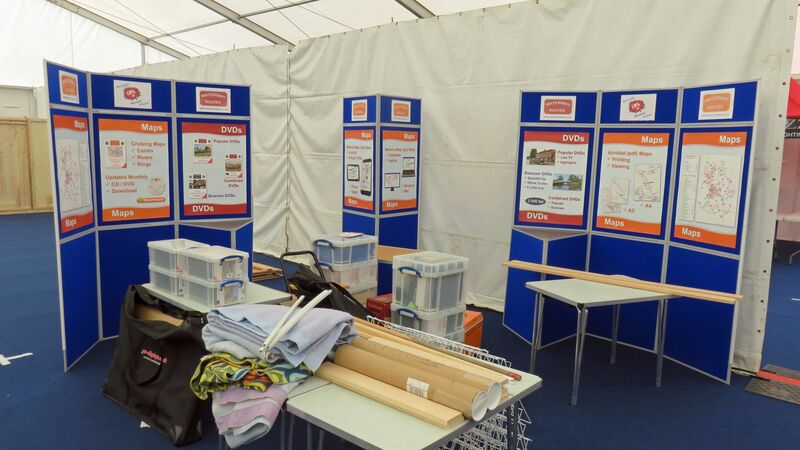 We’ve spent a busy day setting up our stand ready for the opening of the Crick Boat Show tomorrow. We’ve transformed a large pile of boxes etc. which we managed to fit into the car, to our completed stand. Some of the backboards in place as we start to assemble our stand. 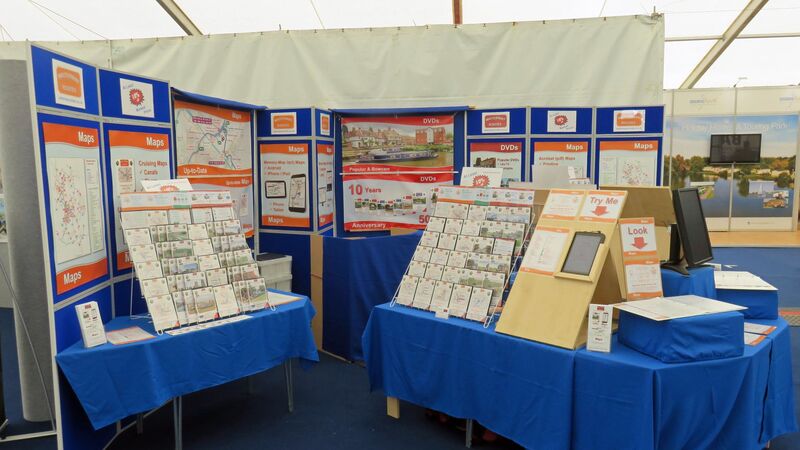 The completed stand for the Crick Boat Show 2017. 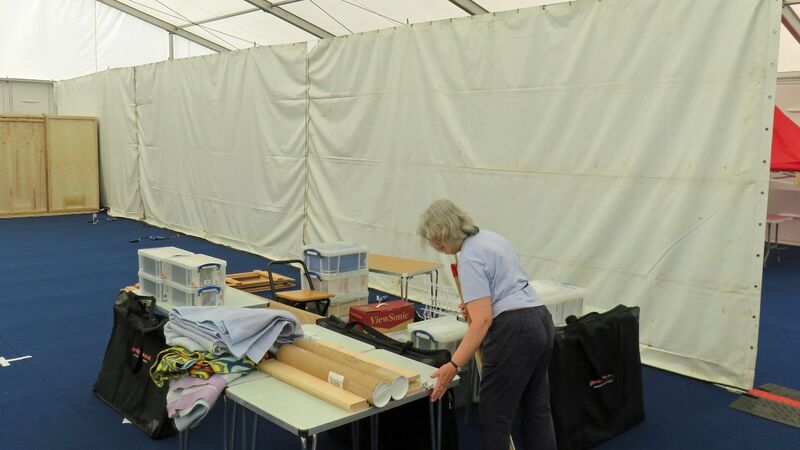 There’s just a few minor bits to set up in the morning before the gates open. We’re looking forward to meeting you there. 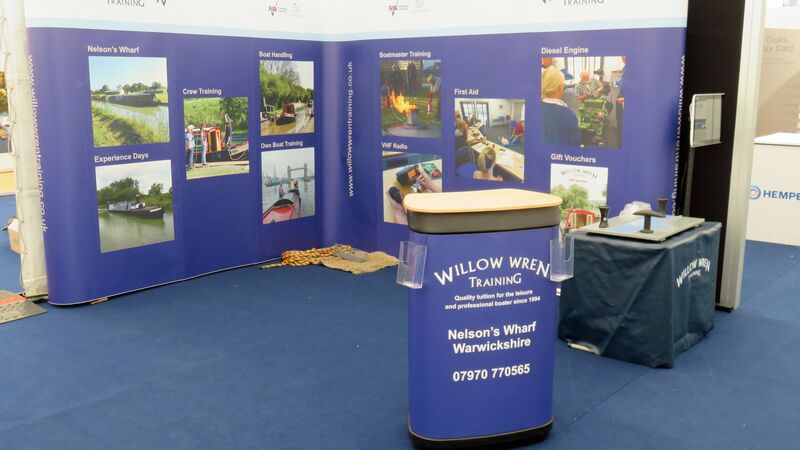 Just across the corridor are our friends at Willow Wren Training, whose stand was complete before ours. 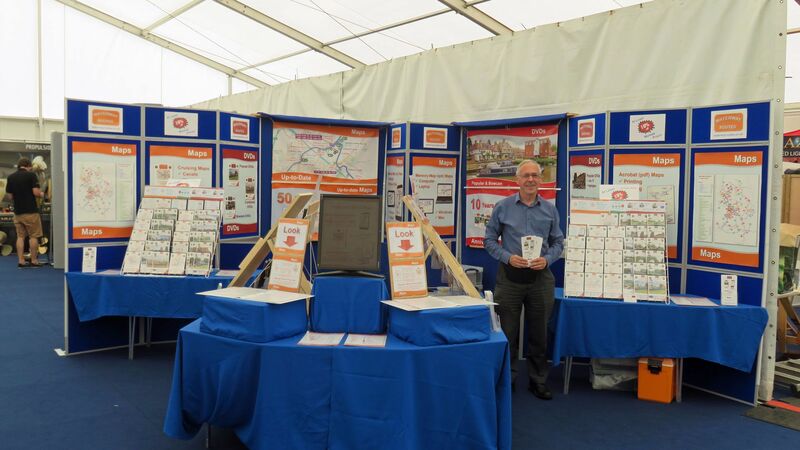 This entry was posted in Crick Boat Show by Paul. Bookmark the permalink.